I have multiple stories that make up the book of my life. Every story has had its lesson. Lessons that I needed and some I didn't want, but lessons nonetheless. All of these stories are important because they built chapters. 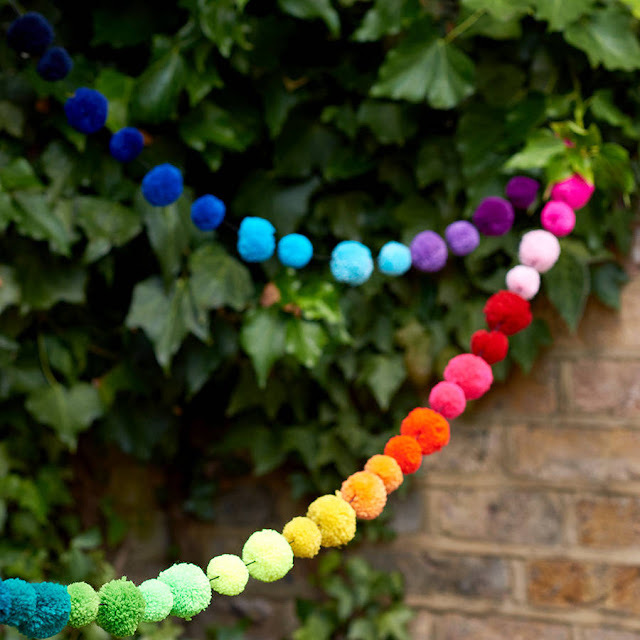 I could think of my life as stories, chapters...a book, but I'd rather think of them as a string of pom-poms. Each pom-pom have been specific colors. Some have been vibrant and colorful, bright and bold, and others dark and foreboding. I imagine my life began as a bright yellow one, as bright as the sun, a place where this pom-pom would start the string of my life. I was born on a day that had been bright and warm and ended with a cool breeze as my life began. My mother's water broke super early in the morning and my father sped her out to the hospital. My mother had one of those natural, not one medication, type of births. My father sat in the waiting room as my grandfather got locked out of the house in his boxers when my grandmother drove off to hold my mom's hand while she pushed and pushed. I had a full head of hair and as my mom's tells it, the nurses would pull it up into a bow when they would bring me to her. I have seen photos of myself as a newborn. She wasn't lying, there was a lot of hair. Photos of me began in a flurry - sleeping in my crib, my father holding me proudly in his arms, my mother sitting by my bassinet. I picture her never leaving my side. Today, I can't imagine how those pom-pom colors changed as they were strung up on my life string. I can't see how each pom-pom went from the bright sunny yellow and slowly get darker and darker. I didn't feel the changes, but they happened. I really, truly thought every one's colors went dark just like me. Until I was much older and those pom-poms became multi-colored. Every day was filled with some brightness and darkness. It took me a long time to find the bright and sunny feeling a day could bring, a life could give. I was born with so much potential to receive love, protection, security, serenity, and bliss, but not everyday of my childhood was filled with these. My path towards adolescence were strung up in black, but slowly and patiently turned to dark purples and blues and into my favorite - that color of twilight, where it's neither dark nor bright, but just calm. It took almost forty years of my life to finally get to a good colored pom-pom. It's not yellow or black, just a good shade of twilight blue. There have been really great moments laced with some bad ones, but each pom-pom - each lesson - has served me well. I am now enveloped in these lessons and experiences. They brought me to this moment. I now feel bravery everyday. I have survivor as a description of who I am. I hold onto my pom-poms. Grip them tightly in my hands and rise them above my head. It's power that I hold up. It's struggle. It is happiness and bliss. I went through everything for this moment. I had to go through it to appreciate what I have now. This is clear to me and not to many others, but maybe to some. I don't focus only on the sunny and bright on my string, neither to those pitch dark ones. I focus and touch the ones that are in between, those are the ones that have become my favorite. The ones that made it all worthwhile.